Let’s help you choose from the best walkie talkies in the market for 2019. But before we do that, we’ll briefly sell you the idea of a walkie talkie. You must’ve seen cops using these gadgets over time. Are they solely for use by the police and military? The answer is an emphatic no. Walkie talkies are built to facilitate communication even in the toughest conditions where mobile phones will fail to get a signal. These are handheld two-way radios that can help you communicate with friends and family who are within the frequency range of the device. Albeit, the best walkie talkies can do more than just keep you connected. They can track GPS and send out SOS signals if you ever get stranded. Plus give you information about the weather. If you ever go hiking, hunting, camping, have a large party or manage a construction site; small ones can help you ensure you stay in touch with those that matter – all at the press of a button. 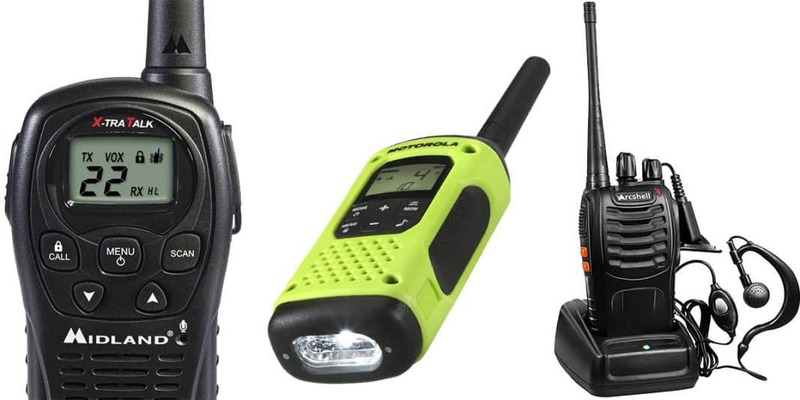 We’ve selected and reviewed the best walkie talkies in the market for 2019. Do well to check out our buyer’s guide after the review to learn how to choose the best for you. The Motorola T600 is a smashing communication phone built for the outdoors. When we talk of waterproof walkie talkies, the T600 falls gallantly into this category. Because it can float comfortably if submerged. The Motorola T600 can communicate with each other over an area of 35 miles if there’re no real obstructions. 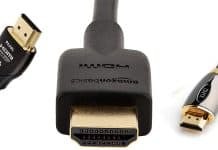 The device can remember up to 22 FRS channels. And can communicate over a private channel with any of the 121 privacy codes. The T600 has a sturdy build with a beautiful case. It has an LCD display and comes with a flashlight. The battery life of the T600 is decent, to say the least. It can last up to 23 hours on constant use after a full charge. Switching it off and on occasion will give you about 2-3 days. Signal can easily be lost if you enter a dense building. The Motorola T600 is a highly recommended walkie talkie because it covers a wide range and it’s truly rugged. The radios have been IPX7 rated waterproof. The price of the T600 is a little below $100 which means they are still within the range of affordable walkie talkies in the market. However, this radio comes with impressive features and can send out powerful signals. There isn’t much to complain about with this radio. The Midland GXT1000VP4 two-way radios are highly rated among the long range walkie talkies in the market for 2019. The reason is not far-fetched; these radios can communicate over a distance of 36 miles. Although, that bit is dependent on your terrain. These radios are among the few that can send out an SOS signal to bail you out if you ever find yourself in distress. This is done with a deafening loud alert siren it can send out. If you’re worried that someone may be listening to your radio conversation with your buddies, you can switch to the numerous privacy codes of the radio. The GXT1000VP4 can memorize up to 50 different channels. With this phone, you can receive and view weather alerts. It has an LCD display. The radio is capable of going into whisper mode if you’re trying to hush up to avoid getting noticed. The Midland GXT1000VP4 can stay submerged for up to 30 minutes. It was built to take a beating without breaking. A few splashes of water and rain won’t hurt it. Can only be charged with the charging stand. A perfect walkie talkie should be one that covers a wide range. That’s what you get with the Midland GXT1000VP4. 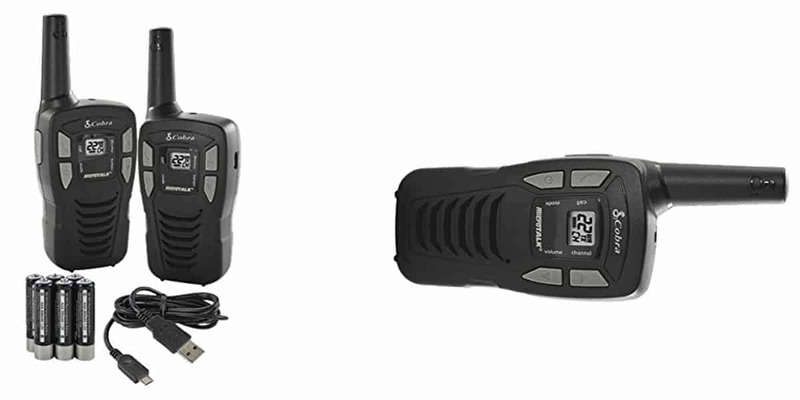 The Midland GXT1000VP4 also earns a good rating for being a waterproof walkie talkie. Added to its other numerous features we’ve listed here. This is one walkie you can’t lose with. Another superb option for two-way radios is the Cobra CXT 1035R. This one was built to foster two-way communication over distances of up to 37 miles if there are no major obstructions. The 1035R radios have a rubberized finish which gives you a comfortable grip. It has a belt clip for portability. It’s been tested and proved water-resistant. In fact, it floats when sunk in water. For performance, the Cobra CXT 1035R will send you weather alerts from the National Oceanic and Atmospheric Administration (NOAA). This radio has a LED flashlight. Whether you’re a construction worker or hiker, you will appreciate the fact that the 1035R can recognize your voice and allow you to change channels and answer calls using voice control. Also, like most cobra radios, this model has a rewind-say-again feature which can record and play back the last 20 seconds of any conversation you have. The Cobra 1035R is powered with 6 AA batteries which can be charged via a USB. They can last for about 10 hours on constant use. They built this walkie talkie to withstand a beating and the harshest conditions. Of course, it could turn out to be a lifesaver if properly employed. The features it comes with are quite impressive and we were also impressed by the wide coverage range it offers. 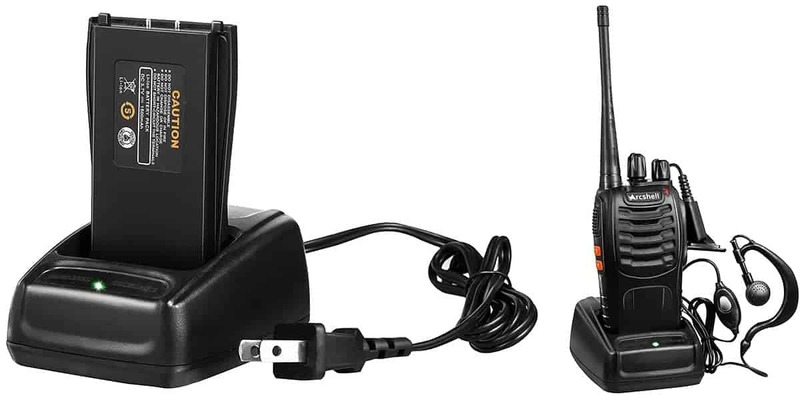 The low point of the Cobra CX 1035R is that the battery doesn’t last so long when used for long hours. 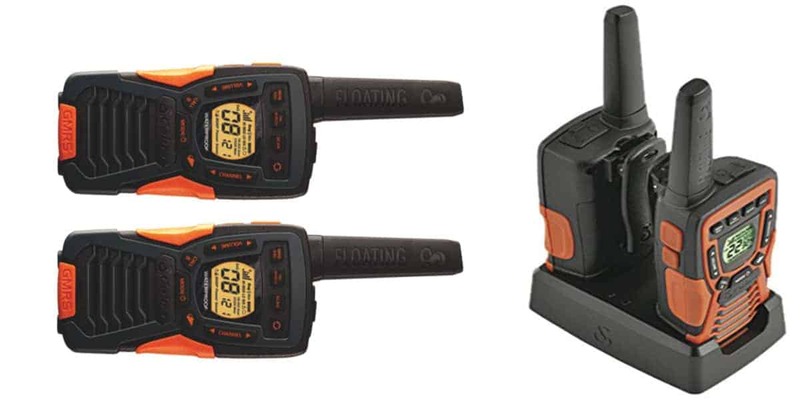 The best walk-in talkie for battery life is the BaoFeng UV-5R. We didn’t find another walkie talkie with such an astonishing battery. The UV-5R runs on a 1,800 mAH battery which can last for days on a full charge, irrespective of how often you use it. You can even add more juice by replacing it with compatible UV-5R 3800mAH and 3600mAH extended batteries. The BaoFeng UV-5R has a 35-mile coverage radius. Actually, these radios can communicate clearly over a frequency range of 45-155/400-479.995 MHz. This gives it a far more reaching range than 35 miles. The UV-5R has a powerful 7-inch antenna. It has a built-in FM radio. The radio can send an SOS alert and be controlled with voice. The radio also has a bright LED flashlight. 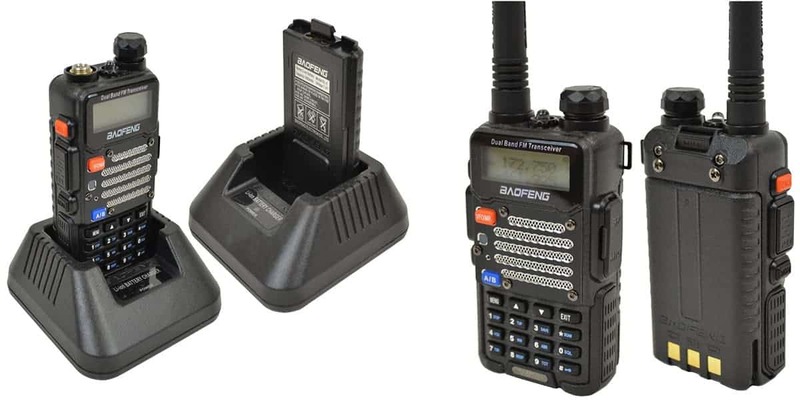 The BaoFeng UV-5R is a tough radio with great battery life and a wide coverage range. The radio recognizes your voice and can be controlled hands-free. Plus it has a two-colored LED screen. But it’s not the best-designed walkie-talkie we reviewed. We found it a little too sturdy. 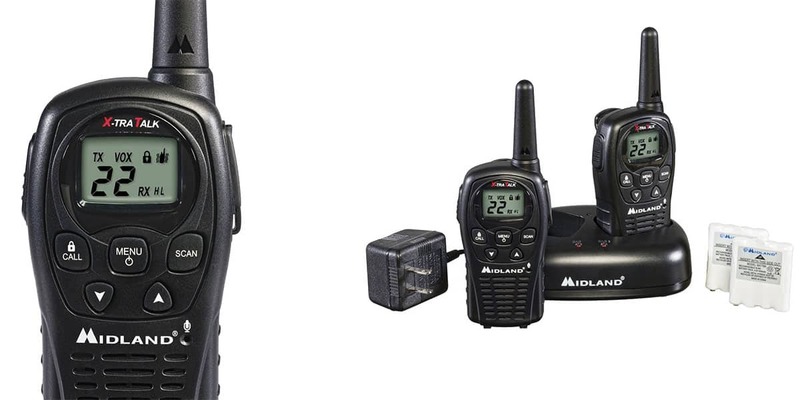 The Midland LXT500VP3 is a great option for two-way radios in the market. It can cover a radius of 24 miles and operates on a 22-channel UHF frequency. 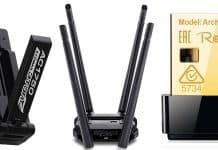 There are many cool features that come with these budget radios. For one, it boasts a good battery life – powered by four AAA rechargeable batteries which can last up to 10 hours. One problem with most walkie talkies is that their keypads can accidentally be pressed if you’re not careful. That problem is addressed by the Midland LXT500VP3 which comes with a keypad lock. The battery dies after nine hours of consistent activity. 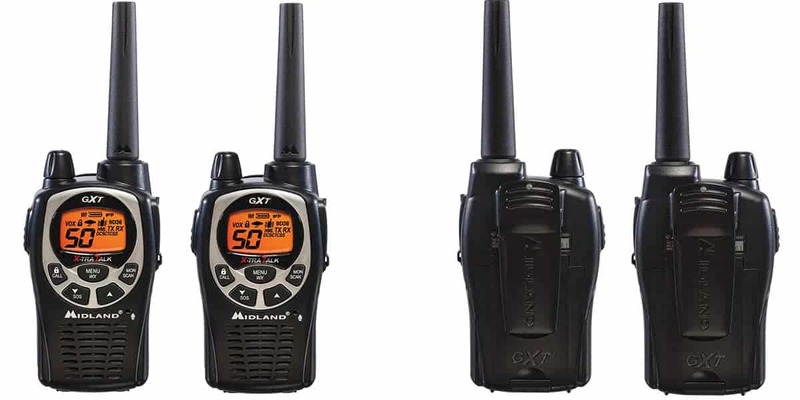 The Midland LXT500VP3 is an affordable option for two-way radios. The radio doesn’t come with a flashlight. Is that a deal breaker for you? 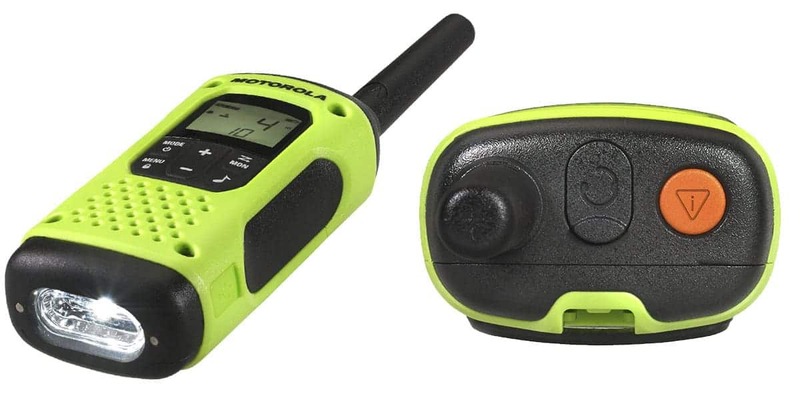 If you’re looking for a portable two-way radio with a wide coverage range and decent battery life; you should definitely consider the Motorola MR350R. The Motorola MR350R come with 22 channel on Family Radio Service. The good thing is that this radio has 121 privacy codes to ensure someone else cannot eavesdrop on your conversation with your cronies. This radio can communicate clearly over a distance of up to 35 miles if there’s no interference from buildings and noise. This radio can give you weather alerts directly from the NOAA (National Oceanic and Atmospheric Administration). It vibrates when there’s an incoming call and can send out an emergency alert (SOS signal). The device uses 3 AAA rechargeable batteries which can be replaced. These batteries can last up to 20 hours on consistent moderate use. The Motorola MR350R comes as a 3-pack unit and can be regarded as an efficient walkie talkie. We were impressed with the performance and features we saw. When we considered the price and the fact that it isn’t really waterproof we felt they could’ve done a lot better with this radio. The Cobra CXR925 walkie talkies have been carefully designed to give you excellent radio communication over a 35-mile radius. That, of course, is dependent on the terrain you’re in. The CXR925 comes with 142 privacy codes; it has up to 22 channels on the FRS and GMRS ranges. It can send credible weather alerts, relevant to your exact location. The Cobra CXR925 aesthetics epitomizes ruggedness but it’s also made of plastic and has a rubberized finish. It’s commendable that the CXR925 isn’t bulky; they’re light, easy to hold and carry. It even has a belt clip that allows you to hook it on your belt when on the go. An important feature of the CXR925 is that it can record the last 20 seconds of any audio you receive. Or you can record a message yourself. Cobra CXR925 walkie talkies have an LCD display and can memorize up to 10 channels. This radio uses a couple of AA rechargeable batteries which are replaceable. They last for 2-3 days on a full charge and use. The Cobra CXR925 has everything you need for two-way communication over a radius of about 25 to 30 miles depending on your terrain. If you find yourself behind a tall building, your coms quality would be greatly affected. 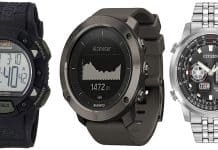 The features of the CXR925 are quite impressive especially when you consider the price. Besides being able to give weather alerts based on GPS, this radio saves channels, remember your voice and record audio. It’s the perfect outdoor communication device. You may be wondering if there are cheap walkie talkies in the market that still provide good value. The answer is yes. 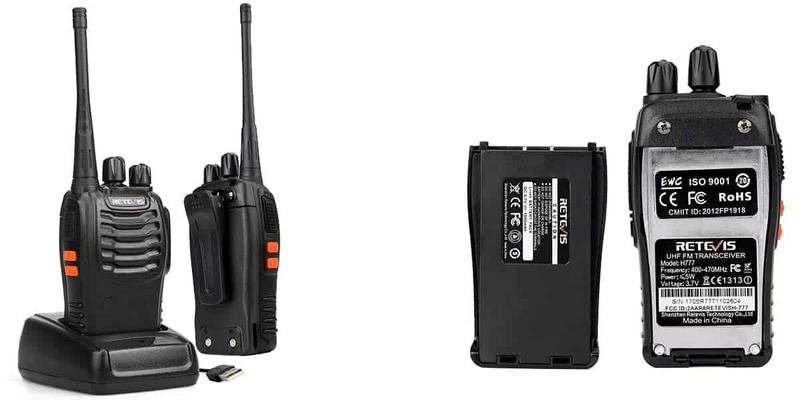 One of such radio that should meet your demand is the Arcshell rechargeable two-way radios. As the name implies, they are rechargeable walkie talkies. And for a little under $30, you can lay your hands on these. As small as they are, these walkie talkies can be a lifesaver if you’re hiking with friends or going on some other adventure into the woods. The Arcshell comes designed with a sleek black case. Weighing less than two pounds, the device is portable for the hand and can easily be gripped firmly. In terms of operation, we discovered the Arcshell walkie-talkies can only communicate within a 5-mile radius. But that’s for places where there are no tall buildings and interference. Otherwise, the communication range could be way smaller. There are 16 memory channels on these radios. The pair will have two earphones and a microphone. With the Arcshell you can fire an emergency alarm. You can also find your way in the dark using its powerful LED flashlight. The device is powered by a 1,500 mAH Li-ion battery which can sustain it for over eight hours on a full charge depending on use. The Arcshell rechargeable is a good radio that works fine as a communication gadget. It can comfortably be used outdoors where people don’t need to communicate over long distances. The speaker, channel memory and other features of this radio make it a walk-in talkie we can recommend. But it has a small coverage area. If there’s interference by buildings and others, it won’t provide coverage beyond 2-3 miles. It also doesn’t have an LCD screen. The Cobra makes the third entry into our review list. That’s simply because they make excellent walkie talkies. The Cobra ACXT145 is another recommended model. The device weighs just 2 ounces and stands two inches tall. It’s very easy to carry and hold. It has a small LCD screen. And lets you receive weather alerts over the NOAA channel. The Cobra ACXT145 can cover a 16-mile radius without interference. With interference, the practical coverage area is just about five miles. 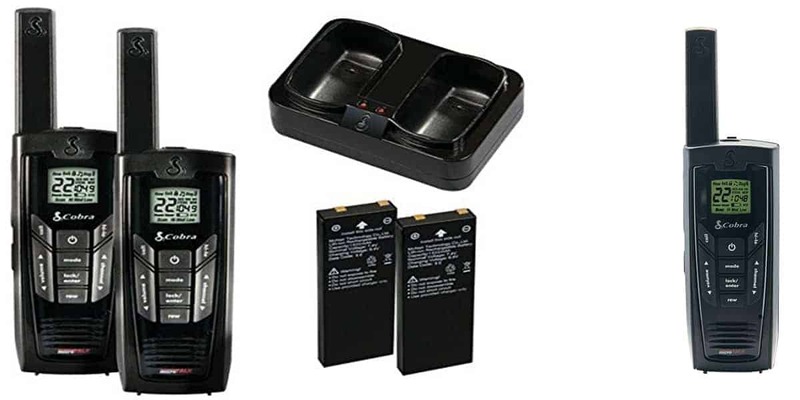 The ACXT145 uses 6 AAA rechargeable batteries which should give you juice for 2-3 days if fully charged. You can charge it via USB. This radio is tough but it can’t resist water. Surprisingly, it doesn’t have that rewind-say-again feature we found with most Cobra radios. And there’s no voice recognition. 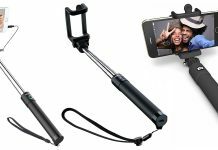 It covers a wide range and has a long-lasting rechargeable battery. But the Cobra ACXT145 is not waterproof. And cannot withstand harsh weather conditions. So even if you’re taking it hiking because it gives you weather updates, you’ll have to find a way to protect it from bad weather. If you’re organizing a large party or gathering; or you manage a construction site; the Retevis H-77 UHF band radio is what you need to stay in touch with everyone at the push of a button. The unit we reviewed is a set of six Retevis H-77 two-way radios. They can be charged as a single unit or separately. The Retevis H-77 is a 16 channel radio that comes with LED flashlight and is powered by a 1500mAH Li-on battery – which by the way can last for about eight hours after a 2-hour charge time. These radios do not have an LCD screen. And you can’t get any weather alerts with this. They also don’t come with the VOX feature we saw on the Cobra. The Retevis H-77 radios are very affordable radios. The main catch with the Retevis H-77 is that they’re incredibly affordable – call it cheap if you like. But that affordability sacrifices many features we’d have loved to see in a modern-day walkie talkie. For instance, we can’t get NOAA weather alerts with this and it doesn’t send an SOS signal. Hence, it’s not the best satellite phone to go hiking with. Also, the coverage range of these radios is just about two miles, even though five miles is advertised. Still, it can provide most of what you will need from a walkie-talkie, depending on what you’re using it for. With different models of walkie talkies being released, buyers are sometimes confused about making the right choice. Here are things to look out for when choosing a walkie talkie. Coverage range: The coverage range of any walkie talkie you’re buying must be put into serious consideration. Some radio advertises long-range coverage but their practical coverage range is less than half of that. Especially when you factor in interference from building, trees, rocks and noise. Waterproof or not waterproof: If you’ll be going hiking or camping in the woods, kindly consider buying a walkie talkie that can withstand harsh weather conditions, especially torrential rain and snow. Walkie talkies that are IPX7 tested waterproof are best for this purpose. Frequency: Some walkie talkies operate using either Ultra High Frequency (UHF) while others operate using Very High Frequency (VHF). There’s a difference between the two. UHF covers more range than VHF. So look out for this in the product description before buying. Features: Look out for the features that come with any walkie talkie you’re buying. Does it come with an earphone? Does it get weather alerts and send out SOS alarm signals? How about privacy? Your radio should come with privacy codes to ensure your conversation is not easily intercepted by a third party. Battery life: Your walkie talkie can become useless to you if the battery dies while you’re still out camping or hiking. That’s why you should consider the longest battery life of the radio you’re buying. Also, check if the battery is rechargeable or replaceable. We considered all these for you before writing our review. Don’t go hiking with your mobile phone expecting to get a cell signal. That could be suicidal. Instead, buy one of the best walkie talkies in the market and add it to your gear. Walkie talkies aren’t solely for hikers and mountain climbers. Two-way radios could be used as fun for outdoor games; for crowd control, search-and-rescue, and security. They’re also used for communication between construction workers, and other outdoor adventures you can think of. Most walkie talkies are not expensive. Majority of those we reviewed cost less than $100. Because you may not use them too often, their battery can last for days on full charge. 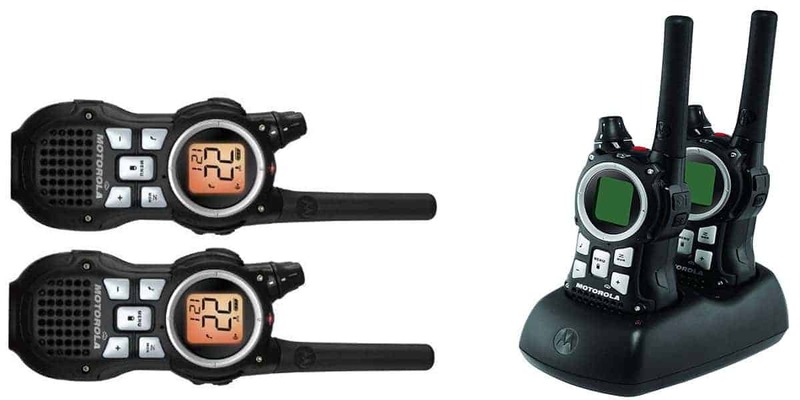 Which of these walkie talkies would you rather buy?